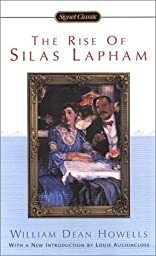 The Rise of Silas Lapham, first published in book form in 1885, was the first important novel to center on the American businessman and the first to treat its theme with a realism that was to foreshadow the work of modern writers. In his story of Yankee Silas Lapham-one of the millionaires who flourished with the expanding industrialization of post-Civil War years-William Dean Howells probed the moral and social conflicts that confronted a self-made man who attempted to crash Boston's old-guard, aristocratic society. 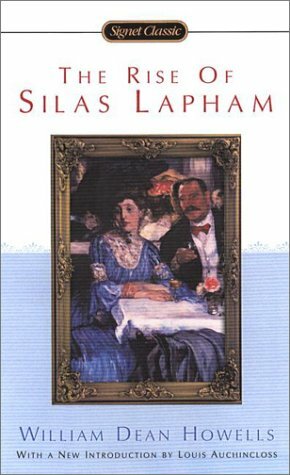 Howells was essentially sympathetic to his hero: his Silas Lapham was a man of conscience who fully realized his folly. But he was also an ambitious man who knowingly let his aspirations lead him to hazard both his fortune and his family's happiness for status in a society that could never accept him. "His perceptions were sure, his integrity was absolute," wrote Henry Seidel Canby of William Dean Howells, whom he credited as being "responsible for giving the American novel form."